Oral squamous cell carcinoma (OSCC) has been estimated to be the sixth most common cancer worldwide. The distant metastasis plays a critical role in the management and prognosis in oral cancer patients. Regarding the distant metastasis from the oral cancer, the hypopharynx is the most common primary site, followed by the base of tongue and anterior tongue. 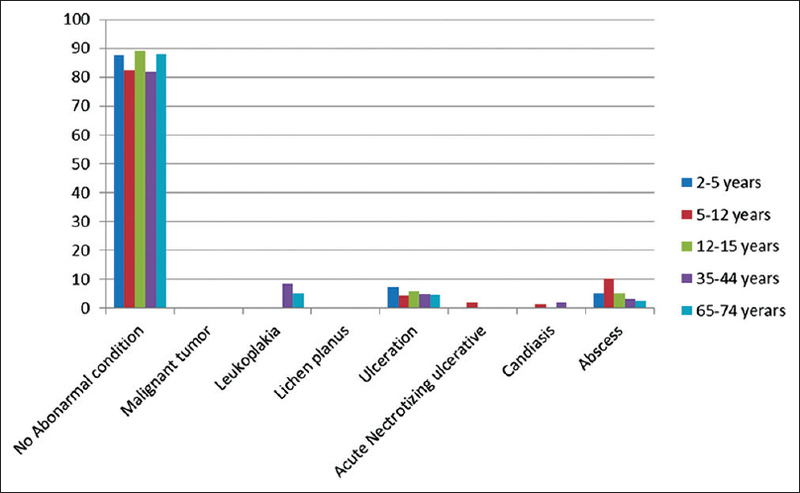 The present review article analyzes the characteristics of the distant metastases from the oral cavity from 1937 to 2015. Immunization is the process or the act of making individuals immune, which is usually done during childhood. Everyone is aware about immunization during childhood, however, very few know about adult immunization. This led us to review the adult immunization literature for the preventive strategies through various vaccination protocols. Adults do require vaccination protocols with booster doses for hepatitis B, Shingles, communicable diseases, traveler's diseases, etc. In this context, this article revises much of the available adult immunization literature and presents comprehensive guidelines. This article will increase the awareness regarding the importance of vaccination for adults to prevent a variety of conditions prevalent in our country as well as epidemics. The article comprehensively provides insights into the available vaccination and preventive strategy of human papilloma virus (HPV), hepatitis, and human immunodeficiency virus (HIV) infection in this part of the review. We strongly recommend all the health care professionals to educate their co-professionals and the public to use the benefits of adult immunization. It is the need of the hour and reduces the burden of treatment and increases productivity. Sjögren's syndrome is a chronic autoimmune disorder characterized by lymphocytic infiltration, and consequently hypofunction of lacrimal and salivary glands. The loss of salivary function induces oral dryness (xerostomia). This review focuses on methods for determining salivary gland function including clinical signs, salivary flow rate measurements (sialometry), analysis of salivary composition (sialochemistry), histopathological and radiologic examinations, and other recent advanced techniques. Aim: The present study aims to compare the peri-implant bone status around immediately loaded dental implants treated with aminobisphosphonate solution and untreated control implants in terms of clinical and radiographical parameters. Materials and Methods: A total of 24 patients were randomly divided equally into two groups. This study was conducted in accordance to the Helsinki's declaration of 1975, revised in 2000, and with the approval of the institutional ethical committee. In the control group after preparation, osteotomy sites were irrigated with normal saline solution, whereas in the test group osteotomy sites were irrigated with modified bisphosphonate solution and then TRX-OP, Hi-Tec dental implants were inserted. Clinical parameters, such as modified plaque and gingival index, probing depth, mobility, and radiographic parameters were recorded at baseline (0), 3, 6, and 9 months. Data analysis was performed using the Statistical Package for the Social Sciences version 17 for windows, and the statistical techniques employed were repeated measures analysis of variance, independent sample t-test, and paired sample t-test. Results: Reduction in mean radiographic bone levels (height) was observed on the mesial and distal aspect of the control group in comparison to its baseline at all intervals. In the test group, there was reduction in mean radiographic bone levels on mesial and distal aspect of the implant site in comparison to its baseline till 6-month follow up, however, at 9 month, there was gain in bone level on both mesial and distal aspect of implant. This represents the effectiveness of sodium alendronate in enhancing the bone formation. On comparison, between both groups on mesial and distal aspect of implants, statistically significant differences were observed at 3 and 9 months on mesial and distal aspect, respectively, without any clinical evidence of mobility in the test group. Conclusion: Implant site treated with aminobisphosphonate solution represents greater efficacy in enhancing bone formation when used as an irrigant; thus, it is considered beneficial in implant dentistry. 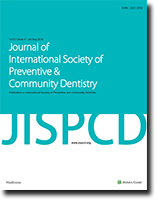 Objectives: The objective of this study was to evaluate the prevalence of dental developmental anomalies in digital panoramic radiographs of the patients referred to the Zahedan medical imaging center and to evaluate the frequency of anomalies regarding the disorders in shape, position and number in the Southeast of Iran. Materials and Methods: A total of 1172 panoramic radiographs from 581 males and 586 females aged over 16 years were obtained from the files of the Zahedan medical imaging center between the years of 2014 and 2015. 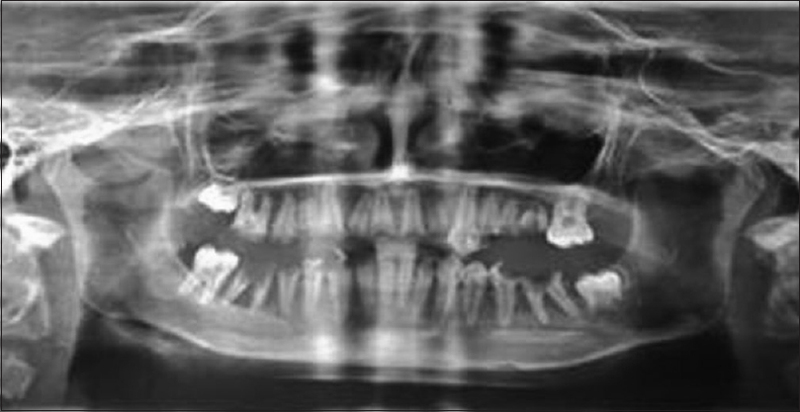 The selected radiographs were evaluated in terms of the anomalies such as dilacerations, taurodontism, supernumerary teeth, congenitally missing teeth, fusion, gemination, tooth impaction, tooth transposition, dens invagination, and peg lateral. Then, the anomalies were compared to each other regarding the frequency of the anomaly type (morphological, positional and numerical). Data were evaluated using descriptive statistics such as frequency and percent, and statistical tests such as X2 at 0.05 significant level using the Statistical Package for the Social Sciences version 16.5. Results: The prevalence of dental anomaly was 213 (18.17%), which was higher in females (9.90) than male, (8.28), however, this difference was not statistically significant (P > 0.05). The prevalence of dilacerated teeth was 62 (5.29%), taurodontism 63 (5.38%), supernumerary teeth 6 (0.51%), congenitally missing teeth 13 (1.11%), fusion 1 (0.09%), gemination 1 (0.09%), impaction 40 (3.41%), transposition 2 (0.18%), dens invagination 16 (1.37) and peg lateral was 9 (0.77%). The prevalence of morphological anomaly was 152 (71.36%), malposition 42 (19.72%) and numerous anomaly was 19 (8.92%). Conclusions: Dental anomalies are relatively common; although their occurrence is not symptomatic, they can lead to several clinical problems in patients. Detailed clinical and radiographic assessment and counseling during patient visits is a critical factor in assessing the patient's degree of difficulty to help the dentist for better preparedness for the treatment. Objective: To investigate the sleep patterns of dental students from different academic levels and to determine the effect of sleep patterns on the academic performance of students. Methods: A self-reported questionnaire was designed and distributed among 1160 students from clinical and non-clinical levels to measure the sleep-related variables and academic performance. The questionnaire included questions on demographics, sleep habits, sleep quality index (PSQI), and grade point averages (GPAs). Data were analyzed with standard statistical software (SPSS, Statistical Package for the Social Sciences, version 22, Chicago, IL, USA). Results: The response rate was 62%. Sixty five percent of the students described their sleep as good or very good, whereas 35% described their sleep as bad or very bad. The mean number of hours of sleep per night for all students was 5.85 ± 1.853 hours. 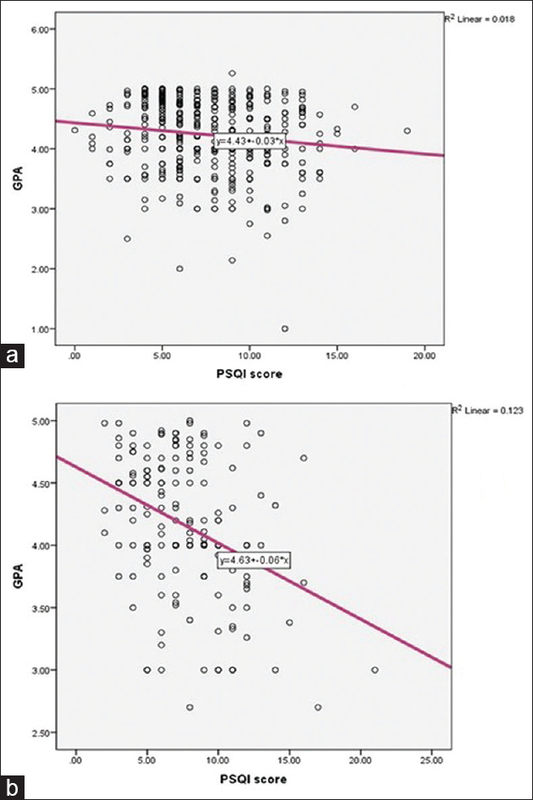 The GPA had a significant negative correlation with PSQI scores. The clinical group showed a stronger negative correlation (P = −0.351) than the nonclinical group (P = −0.134). Conclusion: It can be concluded that dental students tend to have poor sleep quality, which is unknown to them. Poor sleep quality was associated with lower academic performance, especially in clinical years. Objectives: This in vitro study was designed to compare polyvinyl-siloxane (PVS) monophase and polyether (PE) monophase materials under dry and moist conditions for properties such as surface detail reproduction, dimensional stability, and gypsum compatibility. Materials and Methods: Surface detail reproduction was evaluated using two criteria. Dimensional stability was evaluated according to American Dental Association (ADA) specification no. 19. Gypsum compatibility was assessed by two criteria. All the samples were evaluated, and the data obtained were analyzed by a two-way analysis of variance (ANOVA) and Pearson's Chi-square tests. Results: When surface detail reproduction was evaluated with modification of ADA specification no. 19, both the groups under the two conditions showed no significant difference statistically. When evaluated macroscopically both the groups showed statistically significant difference. Results for dimensional stability showed that the deviation from standard was significant among the two groups, where Aquasil group showed significantly more deviation compared to Impregum group (P < 0.001). Two conditions also showed significant difference, with moist conditions showing significantly more deviation compared to dry condition (P < 0.001). The results of gypsum compatibility when evaluated with modification of ADA specification no. 19 and by giving grades to the casts for both the groups and under two conditions showed no significant difference statistically. 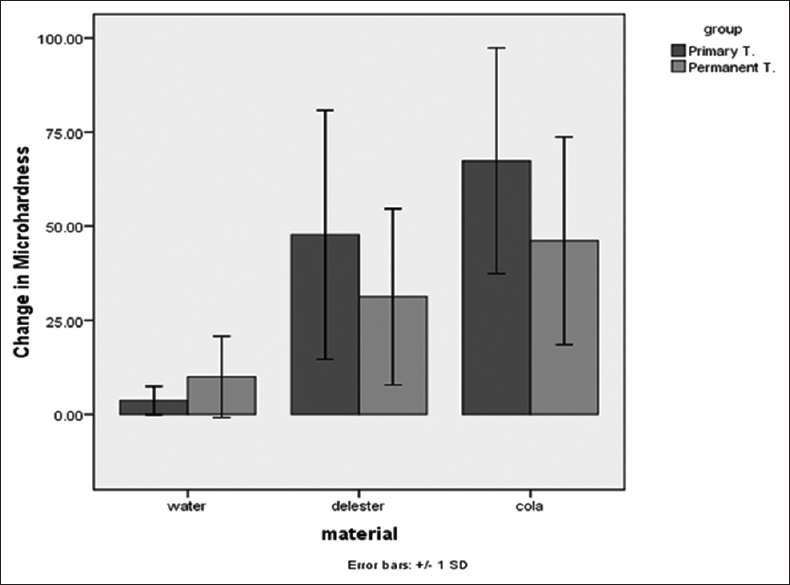 Conclusion: Regarding dimensional stability, both impregum and aquasil performed better in dry condition than in moist; impregum performed better than aquasil in both the conditions. When tested for surface detail reproduction according to ADA specification, under dry and moist conditions both of them performed almost equally. When tested according to macroscopic evaluation, impregum and aquasil performed significantly better in dry condition compared to moist condition. In dry condition, both the materials performed almost equally. In moist condition, aquasil performed significantly better than impregum. Regarding gypsum compatibility according to ADA specification, in dry condition both the materials performed almost equally, and in moist condition aquasil performed better than impregum. When tested by macroscopic evaluation, impregum performed better than aquasil in both the conditions. Aims and Objectives: Attainment of ideal occlusion is often restricted by disproportionate sizes of individual teeth, which is otherwise termed as tooth size discrepancy (TSD). While extraction of teeth for orthodontic purposes is not uncommon, there is considerable resistance against this school of thought. 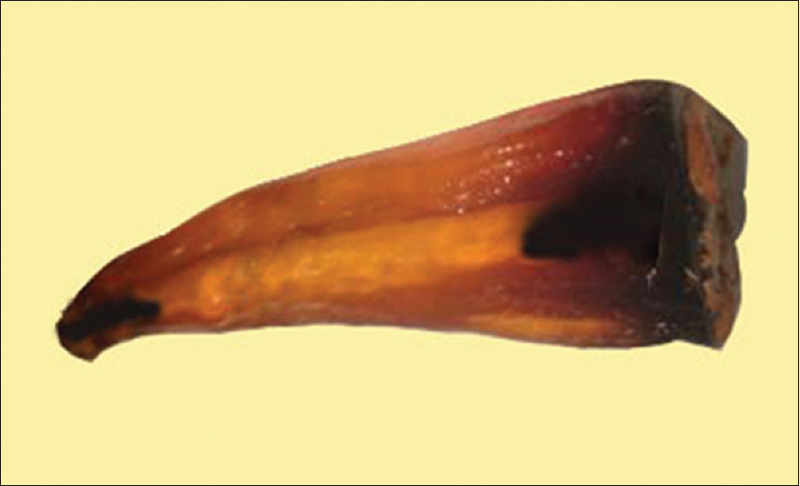 The extraction of premolars, in particular, received considerable attention because of the potential TSD that could result following the extraction of premolars. The aim of the present study was to identify the consequence of premolar extractions on Bolton's overall ratios in South Indian population. Materials and Methods: One hundred participants were recruited into the study through purposive nonproportionate quota sampling. Pretreatment dental casts of the study participants were measured for mesiodistal tooth widths to determine Bolton's overall ratio before the hypothetical tooth extractions were performed. The hypothetical extractions were executed in four different combinations as follows: (a) Maxillary and mandibular first premolars, (b) maxillary first premolars and mandibular second premolars, (c) maxillary second premolars and mandibular first premolars, and (d) maxillary and mandibular second premolars. Bolton's overall ratios were calculated after the hypothetical tooth extractions were performed. Statistical analysis was done using the Statistical Package for the Social Sciences, version 20 software. Results: It was observed that extractions performed in any of the combinations followed in this study resulted in a decrease of overall Bolton's ratios. However, the discrepancy in tooth size was highest with the extraction of all first premolars, whereas least discrepancy was recorded with all second premolars extraction. It was also found that, based on the combination of teeth chosen for extraction, there was significant difference in Bolton's overall ratios between males and females. Conclusion: In formulating a treatment plan involving premolar extraction, significant tooth size discrepancies could change mutually after extraction. Objectives: With the growth of forensic odontology, dental records have become an essential source of information, especially for medicolegal cases in general practice. It is mandated by the law that every dentist must keep some kind of records for every patient they treat. After the death of an individual, remnants of teeth are usually damaged at the last among all body parts. Dental records assist in personal identification in cases of mass disasters, criminal investigations, and medicolegal issues. However, in India, rules for maintaining dental records are not very strictly followed. Thus, the aim of this study was to evaluate the knowledge regarding the maintenance of dental records among dentists in Punjab and Uttar Pradesh. Materials and Methods: Data collection was performed via a questionnaire. The study population responded to the questions pertaining to knowledge regarding forensic odontology methods and the mode of maintaining dental records in their regular practice through a personal interview. A descriptive analysis was carried out for the data. The data were summarized and analyzed using the statistical software Statistical Package for the Social Sciences (SPSS) version 18.0. Results: A very low percentage (22%) of the dentists were seen to be maintaining records on a regular basis. Seventy-eight percent of the dentists were not maintaining any records.Conclusion: This study clearly indicates that the dentists in Punjab and Uttar Pradesh need to be properly trained for any kind of forensic and medicolegal needs. Aims and Objectives: Endodontic treatment is directed to eliminate microbial challenges from the root canal system and to create a complete seal. 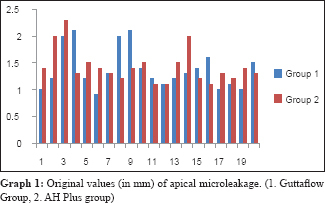 The aim of this study was to assess the apical sealing ability of resin-based Epiphany-Resilon root canal filling system and to compare it with the sealing abilities of different combinations of AH Plus, gutta-percha, Epiphany, and Resilon. 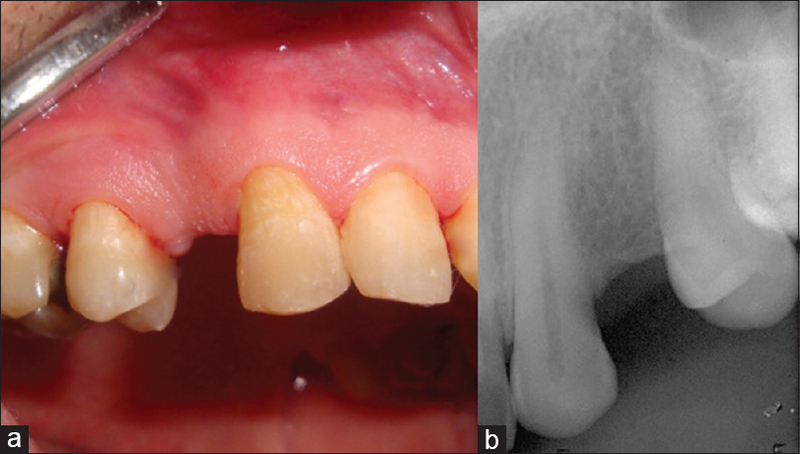 Materials and Methods: One hundred extracted human maxillary incisor roots were treated endodontically. The samples were divided into groups A, B, C, and D, with each group containing 25 samples. Group A: Canals obturated with gutta-percha and AH Plus sealer; Group B: Canals obturated with Resilon and Epiphany; Group C: Canals obturated with gutta-percha and Epiphany; Group D: Control group canals obturated with gutta-percha without a sealer. The sealing ability of each of the obturation techniques was tested using the dye penetration method followed by the clearing method using alcohol. Stereo microscope was used to measure the extent of dye penetration. Statistical data analysis was performed using analysis of variance and Tukey tests. Results: Microleakage was found in all the four groups. Apical extent of mean microleakage was maximum for gutta-percha, followed by Gutta-percha + AH-plus and Gutta-percha + Epiphany, and the least with Resilon + Epiphany. 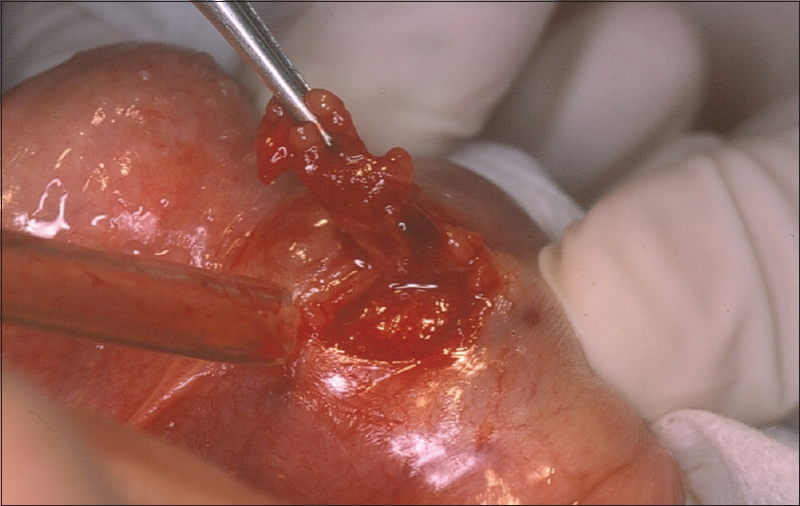 Statistically significant difference (P < 0.01) was seen in the apical leakage. Conclusion: All the samples tested showed microleakage. The “Epiphany soft resin endodontic obturation system” showed a superior result compared to other obturation materials. Aim: The aim of this article is to evaluate the mean cephalometric values for Arnett's soft tissue analysis in the Maratha ethnic (Indian) population. 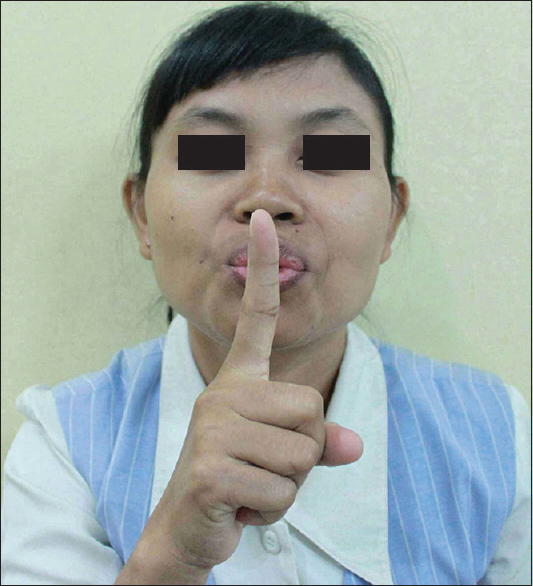 Materials and Methods: Lateral cephalograms of 60 patients (30 males and 30 females) aged 18–26 years were obtained with the patients in the Natural Head Position (NHP), with teeth in maximum intercuspation and lips in the rest position. Moreover, hand tracings were also done. The statistical analysis was performed with the help of a statistical software, the Statistical Package for the Social Sciences version 16, and Microsoft word and Excel (Microsoft office 2007) were used to generate the analytical data. Results: Statistical significance was tested atP level (1% and 5% level of significance). Statistical analysis using student's unpaired t-test were performed. Various cephalometric values for the Maratha ethnic (Indian) population differed from Caucasian cephalometric values such as nasolabial inclination, incisor proclination, and exposure, which may affect the outcome of the orthodontic and orthognathic treatment. Conclusion: Marathas have more proclined maxillary incisors, less prominent chin, less facial length, acute nasolabial angle, and all soft tissue thickness are greater in Marathas except lower lip thickness (in Maratha males and females) and upper lip angle (in Maratha males) than those of the Caucasian population. It is a fact that all different ethnic races have different facial characters. The variability of the soft tissue integument in people with different ethnic origin makes it necessary to study the soft tissue standards of a particular community and consider those norms when planning an orthodontic and orthognathic treatment for particular racial and ethnic patients. Aims and Objectives: India has an assortment of tribal population living in isolated pockets, and the Santhals are numerically predominant in Jharkhand. This study was aimed at assessing the oral health status and treatment needs of Santhals residing in Dhanbad, Jharkhand. Materials and Methods: A cross-sectional survey of 921 Santhals of Topchanchi Block was conducted. A modified World Health Organization (WHO) Oral Health Assessment Form (1997) was utilized and examined according to the WHO methodology (1997). The recorded data was statistically analyzed using the Statistical Package for the Social Sciences version 15. Results: Based on the occupation, it was seen that 620 (67.3%) participants practiced agriculture and 206 (22.4%) worked as laborers. The mean decayed missing filled tooth (score was 3.56 ± 1.93 in 2–5-year-old participants. In the higher age groups of 35–44 and 65–74 years, the scores were 5.21 ± 2.34 and 7.42 ± 4.29, respectively. Participants with bleeding gums were predominantly seen in the age group of 35–44 years (0.91 ± 0.08). Approximately 138 (54.1%) participants had a loss of attachment of 4–5 mm in the 35–44 year age group. In the 13–15-year-old age group, 0.14 ± 0.05 teeth needed two surfaces fillings. A total of 118 (12.8%) participants needed one-unit prosthesis in the upper jaw. Conclusion: This study showed that a majority of Santhal tribals used twigs to routinely clean their teeth. Poor oral hygiene and periodontal status was seen among the tribes. Objectives: The consumption of carbonated beverages is one of the etiological factors that cause dental erosion. The purpose of this research was to compare changes in the microhardness of permanent and primary teeth after immersion in two types of carbonated beverages. Materials and Methods: This investigation was done on 30 healthy permanent molars and 30 healthy primary canines. Each group of primary and permanent teeth was subdivided into three groups of 10 teeth. The teeth was immersed in 40 ml of each of the three beverages for 5 min. One subgroup was immersed in water (as a control). The next was immersed in Lemon Delster and the last subgroup was immersed in Coca-Cola. 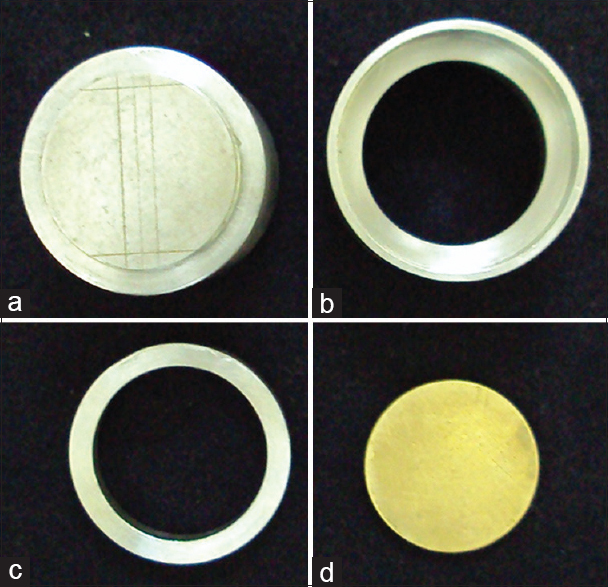 The microhardness of enamel was measured using the Vickers method before and after immersion. Finally, the data was analyzed by paired t-test, one-way analysis of variance, and t-test. Results: Microhardness reduction in the primary teeth was significant in both the Lemon Delster and Coca-Cola groups (P < 0.05). This reduction was also statistically significant in the permanent teeth (P < 0.05). A comparison of the enamel changes in the primary teeth with permanent teeth after immersion in both beverages showed a greater microhardness reduction in the primary teeth in both the experimental groups. Conclusions: Coca-Cola and Lemon Delster caused a significant reduction of microhardness in tooth enamel. This reduction was greater in primary teeth than in permanent teeth, and was also greater after immersion in Coca-Cola than after immersion in Lemon Delster. Aim: The aim of this study was to evaluate and compare the changes in body weight, body mass index (BMI), and body fat percentage (BFP) during the initial stages of fixed orthodontic treatment. Materials and Methods: The sample for this observational prospective study included 68 individuals with fixed orthodontic appliance in the age group of 18–25 years of both the sexes (25 males and 43 females). The control group consisted of 60 individuals (24 males and 36 females). The weight, BMI, and BFP were measured using a Body Composition Monitor at three points of time “T1” initial; “T2” after 1 month; and “T2” after 3 months. The results were tabulated and analyzed with the Statistical Package for the Social Sciences software. The mean changes between different parameters in both the study and control groups and between males and females in the study group was compared by using two-tailed unpaired student's t-test. The statistical significance is set atP ≤ 0.05. Results: There was an overall decrease in the body weight, BMI, and BFP after 1 month in the study cohort, which was statistically significant compared to the control group (P < 0.0001). This was followed by an increase in the parameters after the end of the 3rd month. Comparison of the parameters between the study and control group at the start of the treatment and at the end of the 3rd month had no statistical significance. There was a marked variation in the changes of these parameters between males and females of the study group, which is statistically significant (<0.0001).Conclusion: There is a definite reduction in the weight, BMP, and BMI at the end of the first month followed by a gain of weight, but not at the initial point by the end of the 3rd month. Objectives: One of the most common ways to communicate to children with autism spectrum disorder (ASD) is by using pictures. This study was conducted to identify the easiest perception of dental visit by children with ASD when using pictures as printed photographs. Materials and Methods: Purposive sampling was used to recruit participants from a school for children with special needs in south Jakarta. Semi-structured interviews were conducted with 10 autistic children aged 13–17 years, 2 parents, and 2 teachers. Open-ended questions were asked to participants regarding pictures of dental clinic personnel and activity. Conversations were noted, tape recorded, and then categorized to extract a theme. The data were analyzed using Dedoose mixed methods software. Results: Most respondents showed a positive perception of the dental visit pictures. Many of the pictures were easily recognized by children with ASD, but some failed to be understood. Caretakers not only gave their perception but also recommendations for improvement of the pictures. Conclusions: Dental visit pictures could be used as useful communication tools for children with ASD. Based on the results, the pictures related to dental visit were generally easy to understand, however, some needed correction to be comprehensible. Aim: The aim of this study was to compare constituents of glass powder, fluoride release, and antimicrobial properties of new atraumatic restorative treatment material with zirconia fillers and conventional glass ionomer cement (GIC) type IX. 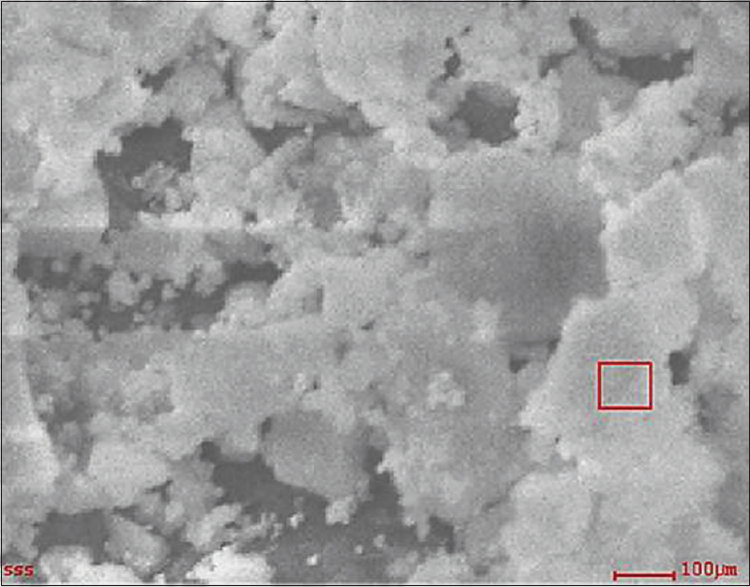 Materials and Methods: Thisin vitro study comparing Zirconomer and Fuji IX was executed in three parts: (1) energy dispersive X-ray microanalysis of glass powders (2) analysis of fluoride release at 1st, 3rd, 7th, 15th, and 30th day, and (3) antimicrobial activity against Streptococcus mutans, Lactobacillus casei, and Candida albicans at 48 hours. Data was analyzed using unpaired t-test and two way analysis of variance followed by least significant difference post hoc test. A P value of < 0.05 was considered statistically significant. Results: Energy dispersive X-ray microanalysis revealed that, in both Zirconomer and Fuji IX glass powders, mean atomic percentage of oxygen was more than 50%. According to the weight percentage, zirconium in Zirconomer and silica in Fuji IX were the second main elements. Calcium, zinc, and zirconium were observed only in Zirconomer. At all the time intervals, statistically significant higher amount of fluoride release was observed with Zirconomer than Fuji IX. At 48 hours, mean ± standard deviation (SD) of zone of inhibition against Streptococcus mutans was 11.14 ± 0.77 mm and 8.51 ± 0.43 mm for Zirconomer and Fuji IX, respectively. Against Lactobacillus casei, it was 14.06 ± 0.71 mm for Zirconomer and 11.70 ± 0.39 mm for Fuji IX. No antifungal activity was observed against Candida albicans by Zirconomer and Fuji IX. Conclusion: Zirconomer had higher antibacterial activity against Streptococcus mutans and Lactobacillus casei, which may be attributed to its composition and higher fluoride release. However, it failed to show antifungal effect againstCandida albicans. Aim and Objectives: Use of posts improves the physical properties of endodontically-treated teeth. Different post types are developed such as metal, custom-made, carbon, and quartz. The present study was conducted to evaluate the fracture resistance of glass fiber-reinforced, carbon, and quartz post in endodontically-treated teeth. Materials and Methods: Forty extracted human maxillary incisor teeth were decoronated and endodontically treated and equally divided into 4 groups; control, glass fiber-reinforced, carbon, and quartz posts. No post was used in the control group. Post space was prepared and cemented with different posts and subjected to universal testing machine to check fracture resistance. The data were statistically analyzed using t-test and analysis of variance to compare the mean difference between groups (SPSS version 20, IBM). Results: Quartz type of endodontic post showed good fracture resistance compared to carbon and resin-reinforced post. Least resistance was observed in the control group without post. Conclusion: Quartz, carbon, and glass fiber-reinforced posts show good resistance to fracture, and hence can be used in endodontically-treated teeth to enhance their strength. Aims: The present study aimed to compare apical sealing ability between GuttaFlow and AH Plus. Materials and Method: Eighty extracted human maxillary anterior teeth with fully formed apex and straight root were collected for this study. The root canals were cleaned and shaped using a standard step back preparation to size 60# master apical file at the established working length and divided into four groups: Group 1, GuttaFlow sealer with gutta-percha; Group 2, AH Plus sealer with gutta-percha; Group 3, positive control group (Teeth were instrumented and left without obturation); Group 4, negative control group (Teeth were totally coated with nail varnish) Dye leakage was carried out. Statistical analysis was done using the Statistical Package for the Social Sciences software and Student's unpaired t-test. Results: The GuttaFlow group had a mean leakage of 1.38 mm whereas AH Plus had a mean of 1.425 mm. The standard deviation of GuttaFlow and AH Plus were 0.3861 and 0.3226, respectively. Student's unpaired t-test disclosed no significant difference (P < 0.05) between the groups. Conclusion: None of the sealers used in the study could completely seal the apical foramen to have a fluid-tight seal. GuttaFlow and AH Plus showed no statistically significant difference in microleakage; the better result was shown by GuttaFlow. Achalasia Cardia is an idiopathic esophageal motor disorder distinguished by the loss of esophageal peristalsis and insufficient relaxation of the lower esophageal sphincter. The oral manifestation of the disease is dental erosion caused by the regurgitation of the gastric contents and vomiting. A female patient aged 14 years reported to the Department of Prosthodontics, Lenora Institute of Dental Sciences, with complaints concerning aesthetics and pain in relation to several teeth. Patient gave history of loss of tooth structure over the past few years with associated sensitivity and pain in several teeth. Patient also gave history of inability to consume sufficient amount of food owing to the repeated vomiting. 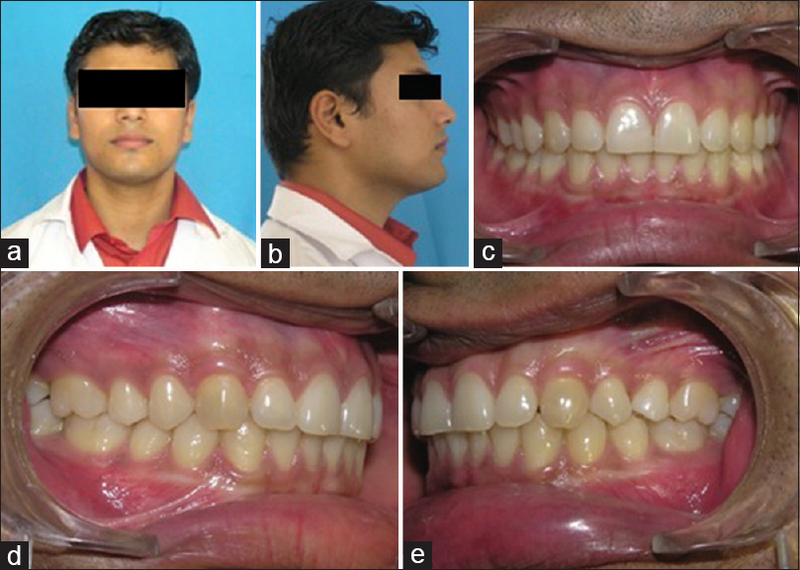 This paper aims to present a rare case report of achalasia cardia by rehabiliting the remaining teeth with overlay denture. Parry-Romberg syndrome, which is also known as progressive hemifacial atrophy, is a poorly understood rare condition. 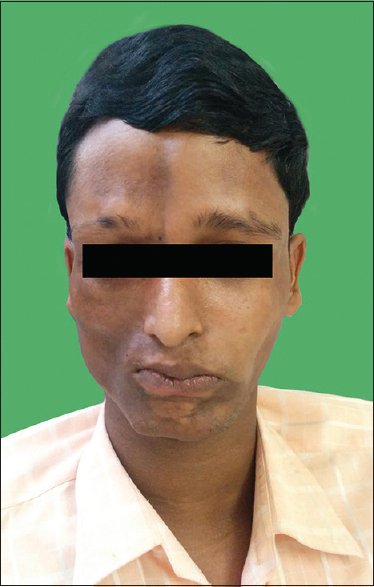 In this condition, the face shows unilateral, slowly progressive atrophy. Disturbance in fat metabolism, viral infection, trauma, heredity, endocrinal disturbances, and autoimmunity are few possible factors in its pathogenesis. Rarely, only this syndrome progresses and involves one half of the body. Our attempt is to present a case of Parry–Romberg syndrome involving one half of the body, which is a rarity in itself.